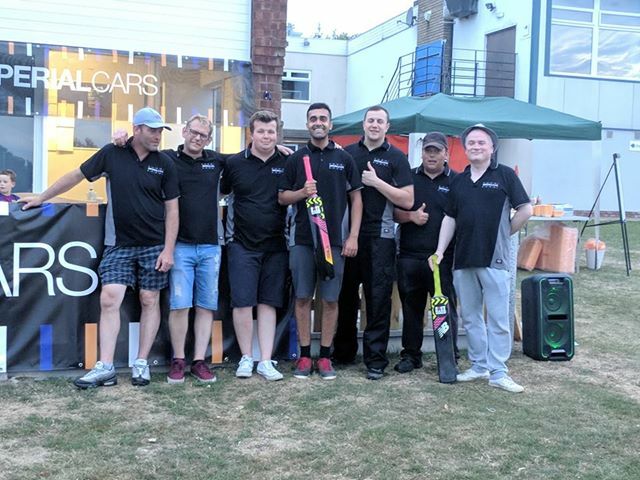 On Friday the 27th of July, the Halesowen Imperial Cars staff took part in a charity Cricket Match with our partners Old Halesonians Cricket Club to raise money for Birmingham Children’s Hospital Charity. The event also had a BBQ, games and a raffle so there was lots to do! "2 teams met on the field of cricket combat. 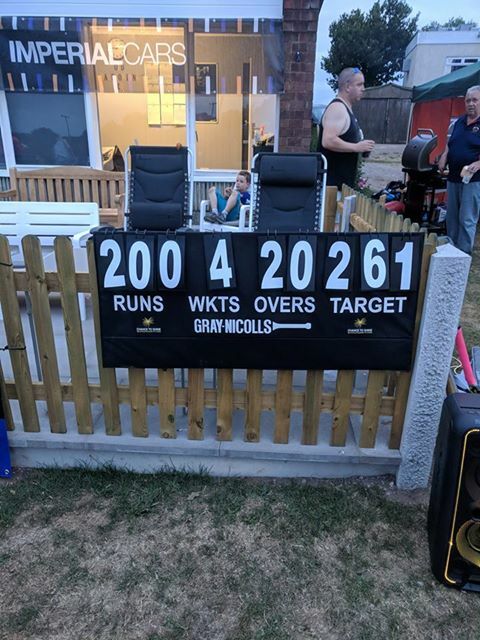 The home team consisted of members from the Halesowen ladies cricket team containing a few ringers, and, a team of novice players consisting of members from the Halesowen Imperial Cars sales and service team." "The match was played in the light of the early evening and with a good crowd of local supporters cheering on from the side lines. Imperial Cars had won the toss and took to the field to bat first. First to bat was Gaurav and Wes who between them gave the visitors an impressive start. They were soon followed by Victor and Vasyok who joined Imperial Cars as car cleaners from Ukraine; this was their first ever sight of a cricket pitch; after a bit of coaching by the opposition wicket keeper, Victor held the bat in the proper way rather than a baseball player from the USA." "At the end of the innings, an impressive score of 261 was on the score board, I am not saying that was the score achieved but that was on the score board and as the old saying goes, “what can’t speak can’t lie”. After a short refreshment break which consisted of a few beers and a burger or two, it was the turn of the Halesowen ladies to bat. The lads from Imperial Cars started slowly with the bowling action looking again more like a game of baseball than of cricket. 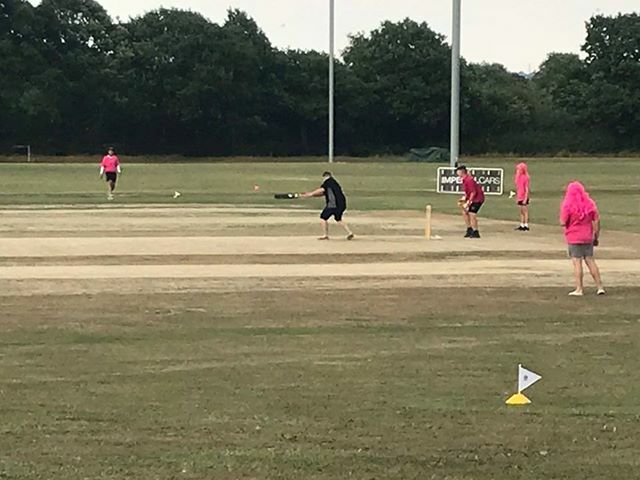 The home team showed their experience with the bat and hit a number of sixes and fours in the first few overs, however the lads from Imperial Cars battled on and over the course of the next few overs wickets began to fall and the tables began to turn. 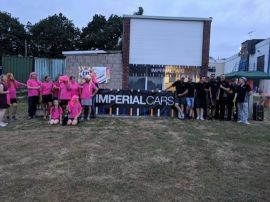 In the end, the score board showed that the team from Imperial Cars had won by 61 runs. Both teams had a great time and that was more important. The spectators had a good laugh and the Birmingham Children’s Cancer ward received some much needed money to help make the lives of the kids in their care a little better." The event raised £250 for the Birmingham Children’s Hospital Charity, a very worthy cause!